Are you expecting twins, but not interested in naming your kids Shelly and Kelly? 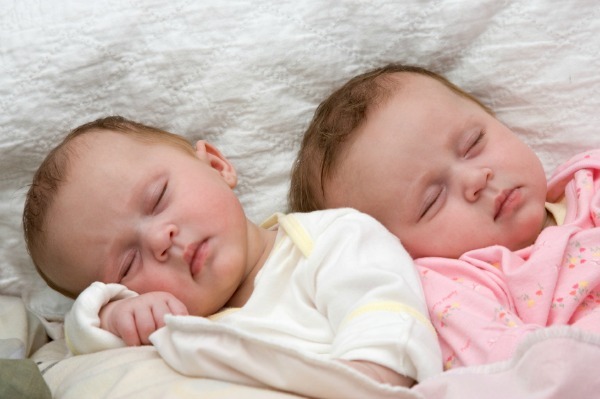 These non-matchy twin names are right up your alley. In decades past, parents of twins often gave their sons or daughters names that matched, and matched really well. They would either start with the same letter, such as Marcy and Mallory, or they would outright rhyme — Carrie and Mary or Jane and Shane. However, modern twin parents don’t always want to go that route. These ideas for twin boys, twin girls or one of each may help guide your way as you name your own twin babies. There are other ways to make a twinset somewhat match without rhyming or using the same initial letters. Going with two names that both have a similar number of syllables is a tactic that many twin parents employ to make the names work well as a pair, but not be of the matching sort. Other twinsets go well together because they are of the same style. For example, you probably wouldn’t want to pair a classic name, like Oscar, with a popular modern name, like Aiden. Or a trendy name, like Kinsley, with a traditional name, like Anna. These pairs, however, flow together nicely. Even names that don’t match at all can complement one another nicely. These names have a certain feel about them that makes them unique, and the pairs themselves really stand out. Naming your twins Ethan and Evan is totally fine — but if you’re looking for a twinset that is a little “outside the box,” these names may work for you.